Keith and Sue Harrison are famous for the quality of their Audax events: their route sheets, organisation and catering are always excellent… it’s just a shame the y can’t organise the weather to a similar standard. For the 6 VCN folk on the Norfolk Mardle the weather held off for the meandering ride to the Salthouse control. Here after the gloopiest mint chocolate cake ever the rain and wind set in for the climb back up the Terminal Glacial Moraine (yes it really is called that, Roly) that constitutes the Cromer Ridge and the run back to Norwich. Special mention to Matt for whom this was the first ride since shattering his shoulder… talk about easing back into it gently (not). 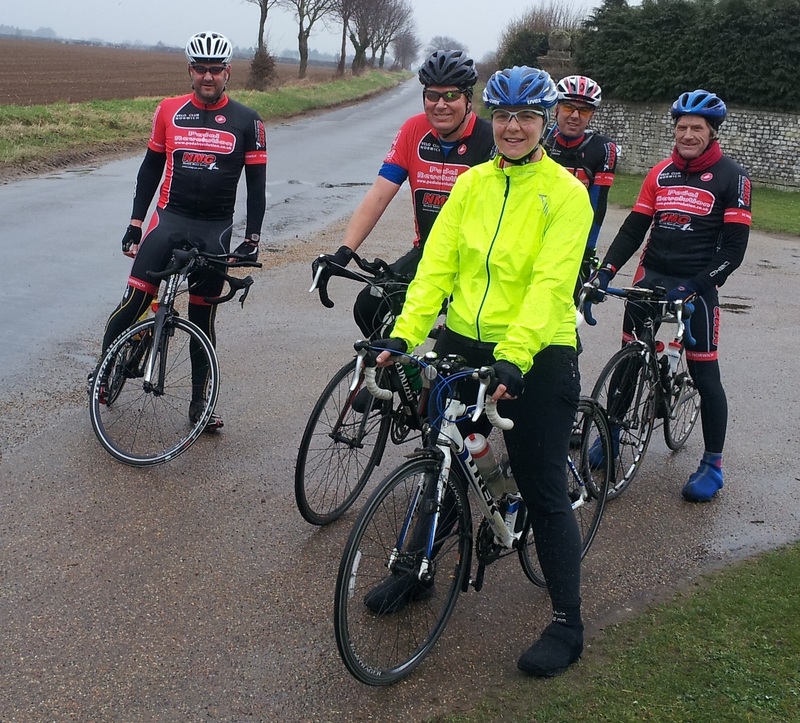 For anyone who fancies sampling Sue and Keith’s Audax hospitality they will be running the National 400km audax from Hempnall in June and have promised to honour all entries. Apparently they have 60 signed up already!